An alternator sends power to the vehicle’s electrical system while it’s running. Most drivers believe that the battery is what powers the car, but it’s only used to start it. The alternator functions as a generator that uses the gas engine as its source of energy. 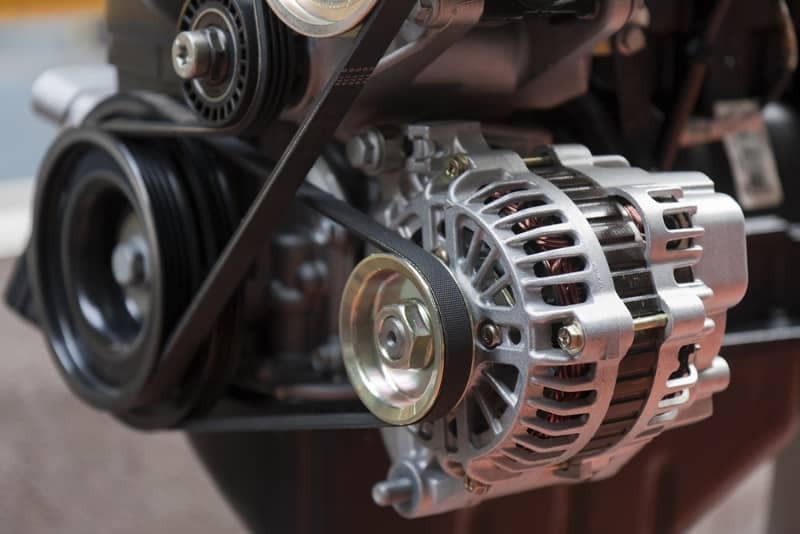 For more details about the alternator and what it does, visit the service center at Sunrise Chevrolet. Carol Stream-area drivers sometimes mistake a failing alternator with a failing battery. The best way to distinguish between the two is to wait until the vehicle doesn’t start and requires a jump. Then, jump-start the engine and remove the jumper cables after it starts. If the vehicle dies immediately, the issue is most like the alternator. Schedule a service appointment to have a certified technician inspect your vehicle. Each vehicle will require a different alternator, which makes it difficult to say just how much one would cost you. With that said, you can call Sunrise Chevrolet for a free quote! We offer a selection of alternators specifically for your vehicle. Also, our technicians have the training and experience to install it correctly. If you’re looking to replace the alternator on your own, visit the parts department at Sunrise Chevrolet. We’ll help get you the alternator at a reasonable price. Have any questions? Contact us online or stop by our service center today! †See participating U.S. dealer or mycertifiedservicerebates.com for details and rebate form, which must be postmarked by 5/31/19. Allow 6 to 8 weeks for delivery of debit card. Offer ends 4/30/19. ◊◊◊Credit approval required. Terms and conditions apply. Talk to your participating Service Advisor to apply. $10 Mail-in Rebate† per tire on the purchase and installation of a GM Original Equipment or ACDelco Professional Tire Pressure Monitoring System sensor. †See participating U.S. dealer or mycertifiedservicerebates.com for details and rebate form, which must be postmarked by 5/31/19. Allow 6 to 8 weeks for delivery of debit card. Offer ends 4/30/19. Buy 3 oil changes and tire rotations and your 4th free. Get your fourth lube, oil and filter change and tire rotation free when you buy three. Cannot combine with any other offers or specials. Why is My Car Leaking?